We've just released new changes in Plastic SCM integration with several Microsoft Office tools: Word, Excel and PowerPoint. You'll now be able to diff Word docs, Excel sheets and even PowerPoint presos (restricted to old versions which had support for it). 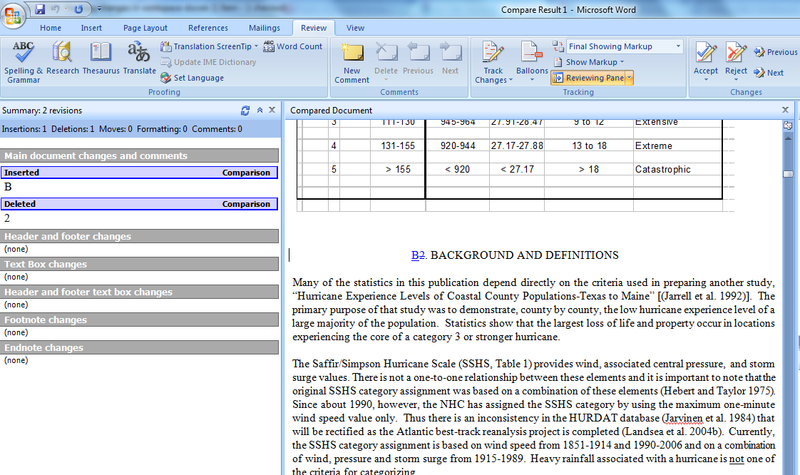 Now you'll be able to merge Microsoft Word files too... out of the box! When several people are updating and making copies of the same files, multiple versions easily blossom out of control. 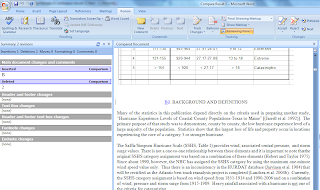 Plastic SCM can now compare proprietary file formats including Microsoft Office files. 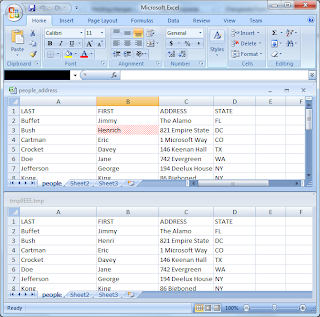 We released integration with Office in Windows to perform diff and merge for Office documents. As stated above, now you can use Plastic SCM (default installation) to Microsoft Word document merge. The new diff support for Word files can be applied to the following file types: .doc and .docx files, .rtf files, .txt, and any other format supported by word. Select the document that you want to compare (make sure it's been added to source control) and select Plastic SCM Diff Tool on the context menu (alternative just run "diff with previous"). Look at this picture: you can see the changes on the doc. If you want to watch a complete workflow, take a look at the complete flickr gallery. We've added a bunch of screenshots there so you can see it in action. 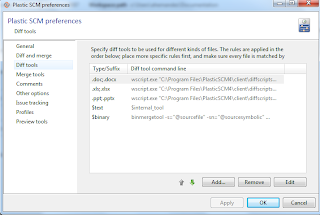 The following screencast shows how to run a merge of Word files with Plastic SCM. There are several options depending on whether you're just installing Plastic SCM from scratch or updating an existing installation. You're the lucky one. 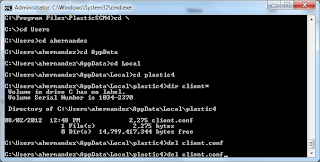 Plastic SCM comes with everything pre-configured, so just start diffing your office files. Since your diff and merge tools are already configured, Plastic won't overwrite any configurations to prevent altering manually introduced adjustments. Delete client.conf. 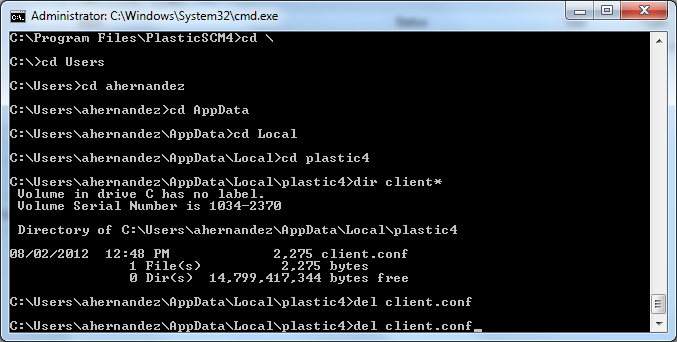 (Remember it is located on your user's directory, in my case here: C:\Users\pablo\AppData\Local\plastic4\client.conf). 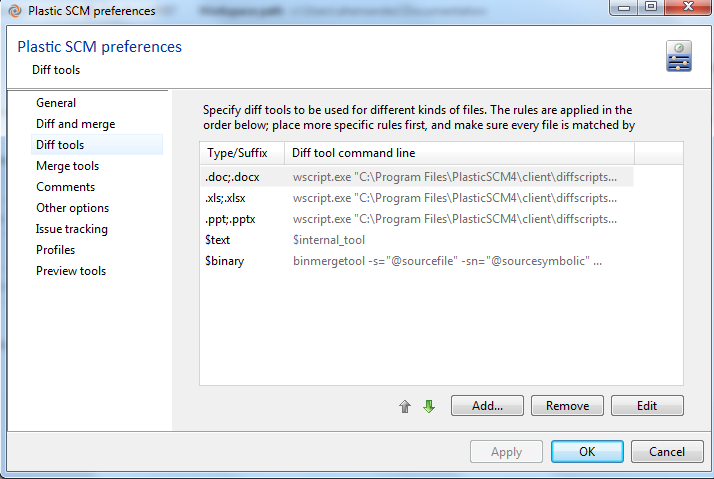 Go to preferences, then 'diff and merge tools' in the Plastic SCM GUI. Then, you'll have to add new 'rules' for your files. Remember to move them up so they're the first rules on each category (otherwise the generic tools for binary files will take preference). I posted this on the forums and no on replied. 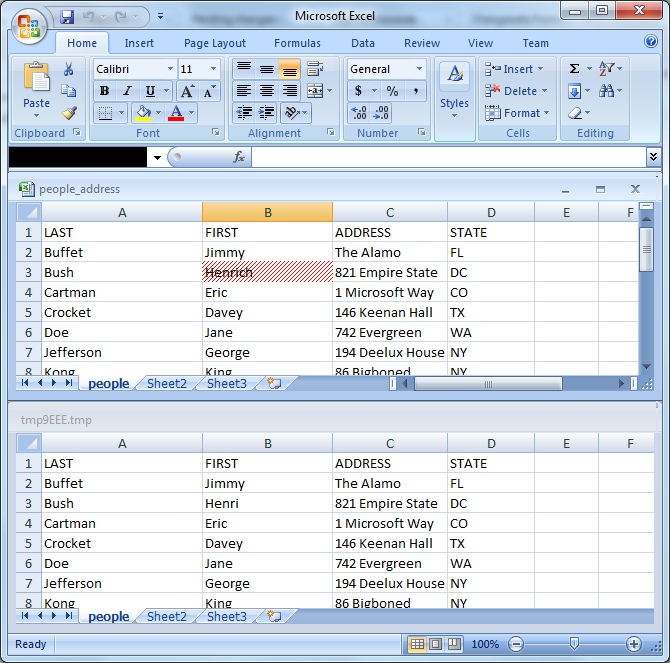 Is it only possible to do a Diff between a "previous and current version" of Office Documents? I'd like to do a Diff between specific REVISIONS / CHANGESETS / BRANCHES of the Office Document. Is that possible? How? I've tried to figure out how to do it and have failed miserably / feel very lost.